Take a tour of Love and Laughter Studios, meet the RYTMO team while getting an overview of the RYTMO program! Alex Flavell is a 20-year-old pianist, keyboardist, composer, arranger, and private instructor who does freelance work in the Orange and Los Angeles counties of Southern California. He is currently a sophomore attending the Bob Cole Conservatory of Music at California State University, Long Beach, and is a member of the top jazz ensemble, the Concert Jazz Orchestra. Alex currently studies under Tamir Hendelman (U.C.L.A.) and Andy Langham (C.S.U.L.B.) As a performer, Alex has received numerous honors. Most recently, he was selected as a finalist in the 2018 American Jazz Pianist Competition. He has also been recognized as a two-time YoungArts Winner in Jazz, the pianist for the S.C.S.B.O.A. Jazz All-Stars for two consecutive years, and a merit finalist for the Orange County Register’s Varsity Artist of the Year contest (Instrumental Music). Jazz Generations will be held at Cook's Chapel in the Anaheim Packing District. Tickets are just $10.75. 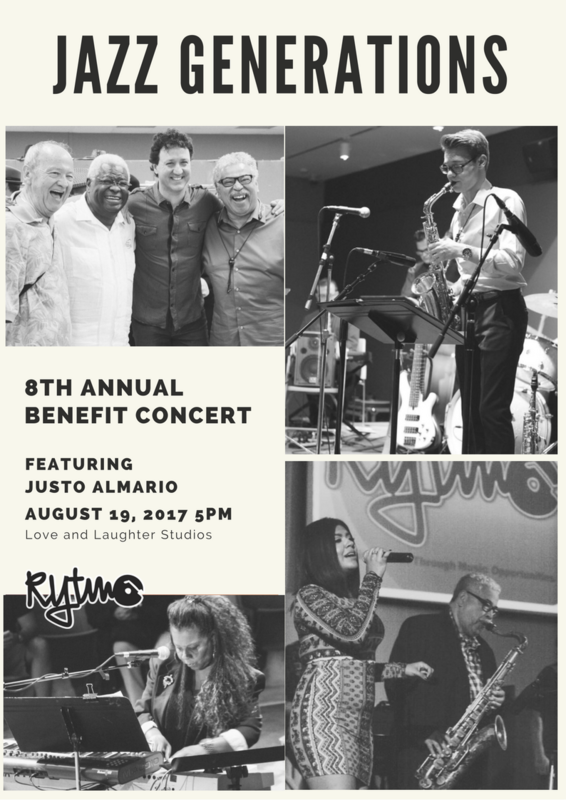 To purchase tickets, just send 10.75/person to mike@rytmo.org through your free paypal account. Please be sure to include your mailing address, email, and guest(s) name(s). *Valet Parking is $3 to be paid when you park, general parking is free, but please plan ahead as general parking close to the venue is limited. This event wouldn't be possible every year without donors like you. RYTMO has a goal of raising $15,000 this year. Any amount of donations will greatly help. Individual Partners: We will be collecting donations through GoFundMe and would appreciate your support. 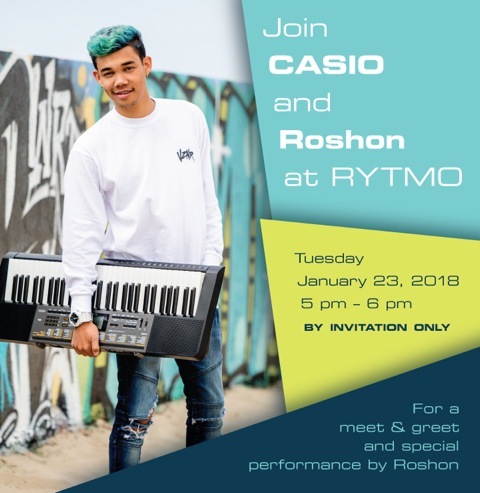 On January 23, RYTMO teams up with Casio to host a special event with Roshon. Roshon, a self-taught music producer, rising star and Casio brand ambassador, will host a mini-performance and meet-and-greet for students at RYTMO and a limited number of fans in the Anaheim area. Roshon will also participate in a donation of keyboards to RYTMO from Casio. Roshon gained worldwide attention in more than 137 countries as a young television star for seven years on hit TV films including the mega hit television series “Shake It Up” and hit show “Greenleaf.” Roshon is also the CEO of Elevate Music Group, a recording studio that includes its own rehearsal space and stage for artists who want to record and create an entire production. Casio America, Inc., a leading electronic musical instrument provider, has strived to fulfill its creed of “creativity and contribution” through the introduction of innovative and imaginative musical products. Casio’s line of digital pianos redefines the category with unprecedented sound quality and performance features in a stylish, elegant design that is supremely portable. 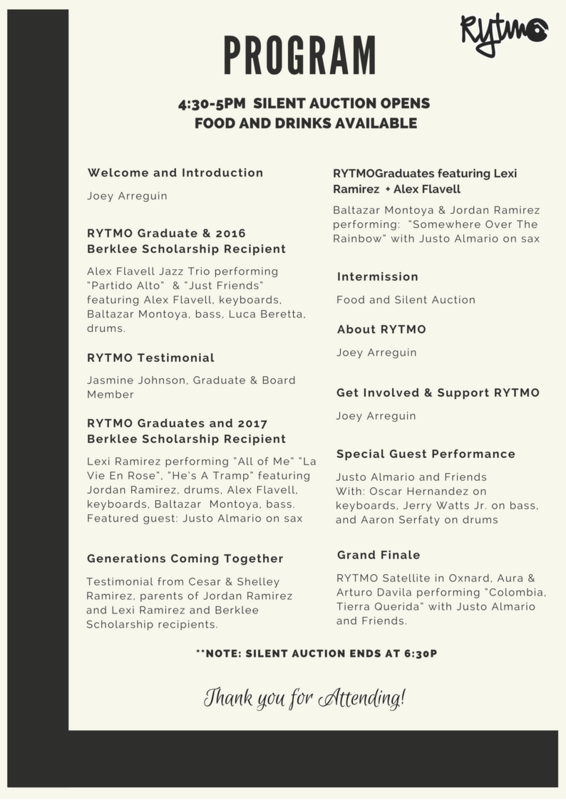 RYTMO (Reaching Youth Through Music Opportunities) is a non-profit after-school program designed for youth who demonstrate musical, technical and business potential in the arts and might desire a career in the music industry. Since 2003, RYTMO has provided a positive and professional creative environment for under-served youth in the Southern California region. Roshon will be performing and sharing his story with our RYTMO students. This event is only open to current and former RYTMO students. *At this time, there will be no new Level 1 classes until 2018! Levels 2, 3, & 4 will continue September 28, 2017 and will be held on Thursdays from 4-6pm at Love & Laughter Studios. If you're interested in joining RYTMO, please fill out an application and send it to contact@rytmo.org and we will keep you updated on when the next Level 1 class session will begin.